Stainless Steel 5 1/2" MBL Short Shank with Sweet Iron Sweet Iron Wide Ported Barrel (MB 16PB, Level 3) Copper Inlay. This mouthpiece is made of polished Sweet Iron which naturally oxidizes or rusts. Harmless to horses, it has a sweet taste and promotes salivation. 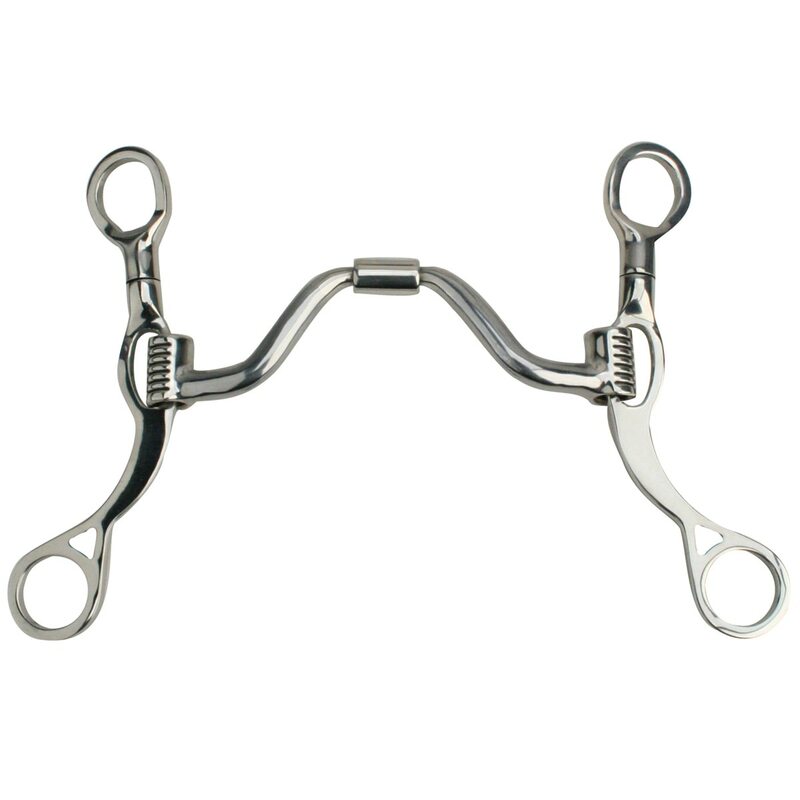 Stainless steel shanks with rein positioning rings that allow you to use this bit as a curb or snaffle bit. The broken mouth has a copper roller to help keep the mouth moist.